Steepening double-digit percentage declines for linear TV continued in January of this year. The prime time and total day Nielsen C3 measure among 18-49 viewers witnessed a 14% fall versus the same month a year ago -- to average 20.9 million (prime time) and 12.2 million (total day) viewers, according to MoffettNathanson Research. Nielsen C3 ratings are the average minute commercial rating plus three days of time-shifted viewing. Since July 2018, prime time 18-49 viewing has fallen by a mid-double digit percentage -- 13% (July 2018), 12% (August 2018), 14% (September 2018), 11% (October 2018), 12% (November 2018), 12% (December 2018), and 14% (January 2018). The most-viewed prime-time network in January was Fox -- down 16% to 2.6 million 18-49 viewers. Fox’s high performance is mostly attributable to NFL programming. Versus other TV networks, CBS maintained much of its prime-time viewership, losing just 2% in the month to average 1.9 million prime time 18-49 viewers. CBS had a big boost from a high-rated NFL AFC Championship game. NBC lost 20% to 1.5 million 18-49 viewers, while ABC was down 12% to 1.3 million. AMC Networks collectively was flat at 578,000 18-49 prime-time viewers, while A+E Networks was down 11% to 1.2 million; Discovery lost 13% to 2.6 million; Walt Disney sank 15% to 1.5 million; Viacom also gave up 15% to 2.1 million; NBCUniversal was 19% lower to 1.7 million; WarnerMedia was off 21% to 1.9 million; and Fox lost almost a third -- 27% -- to 928,000. Two cable networks had gains in January: Hallmark Channel -- up 7,000 in Nielsen C3 18-49 viewers in total day viewership -- and Food Network, gaining 2,000 18-49 viewers. The biggest loser was Turner’s Adult Swim, sinking 162,000 in 18-49 total day viewers. 1 comment about "January Prime Time, Total Day C3 Viewing Down 14% Among 18-49 Viewers". Ed Papazian from Media Dynamics Inc, February 14, 2019 at 11:49 a.m.
Wayne, the headline says "Prime Time, Total Day C3 Viewing Down 14%", which might give people the impression that this applied to all TV audiences---which it doesn't. The data cited is only for adults aged 18-49, who do not represent the majority of "linear TV's" viewing. Just because approximately 55% of national TV buys use this umbrella age group as the basis for GRP grarantee "currency"---not to be confused with targeting----it seems to be the focus for a lot of the trending comparisons we are bombarded with and this is causing many with a digital ax to grind as well as others who are simply not so well informed to think that "linear TV" is losing viewers at a rapid rate. It isn't. 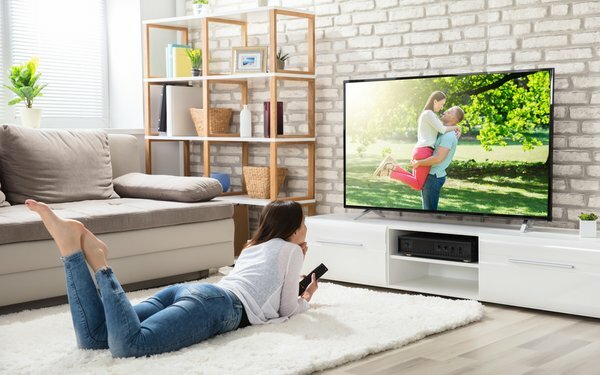 As we report in "TV Dimensions 2019", while there is a decline in overall set usage and total viewing time spent or "tonnage", it is of a far smaller magnitude than the losses among the 18-49s. Also, these monthly reports are not cummulative. If January was down 14% while December was down 10% that doesn't mean TV lost 24 % of its audience over a two- month period. It lost 12%. What would help to clear up the confusion would be a season-to-date figure---based on the average decline---I'm sure that the source for this info can also provide that.